Pair with grilled vegetables, turkey burgers, hot dogs and pasta salads. 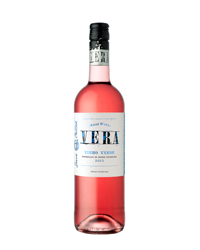 2012 Vera Vinho Verde Rosé ($11) From a region known for its white wines, this low-alcohol Portuguese rosé (11.5 percent) is ultra-tangy—serve it very cold on a hot day. 2012 Barnard Griffin Rosé of Sangiovese ($12) Scarlet-hued and full of citrusy acidity, this is a Washington-state interpretation of one of Tuscany’s classic grape varieties. 2012 Librandi Cirò Rosato ($12) Italy’s Librandi has a loyal following for its Cirò red. The rosé version is just as appealing, with ripe cherry fruit and a touch of smokiness. 2012 Penya Rosé ($12) The local wine cooperative in the tiny French village of Cases-de-Pène, about 30 miles north of Spain, makes this watermelon-scented, lively rosé. 2012 Domaine de Malavieille Charmille ($17) Organically grown grapes (mostly Syrah) from southern France’s Pays d’Oc region produce this minerally rosé.